I am with creepy. As one of our soft and cool feeling t-shirts it makes a great gift for someone who likes halloween. We used a 100% cotton premium blank tee for this shirt. 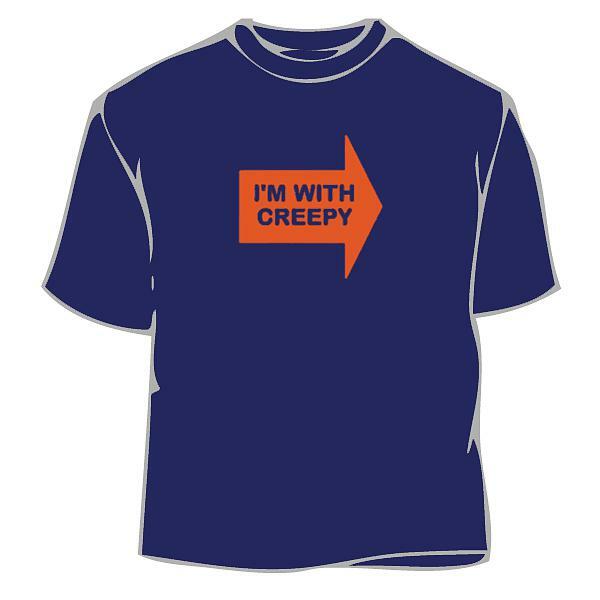 Our I Am With Creepy T-Shirt is incredibly comfortable and it is made to last. Our Funny T-Shirts come in the sizes and colors you can pick from. If you have any questions or suggestions regarding our I Am With Creepy T-Shirt or any of our other feel free to get in touch with us by an e-mail and include the product name.